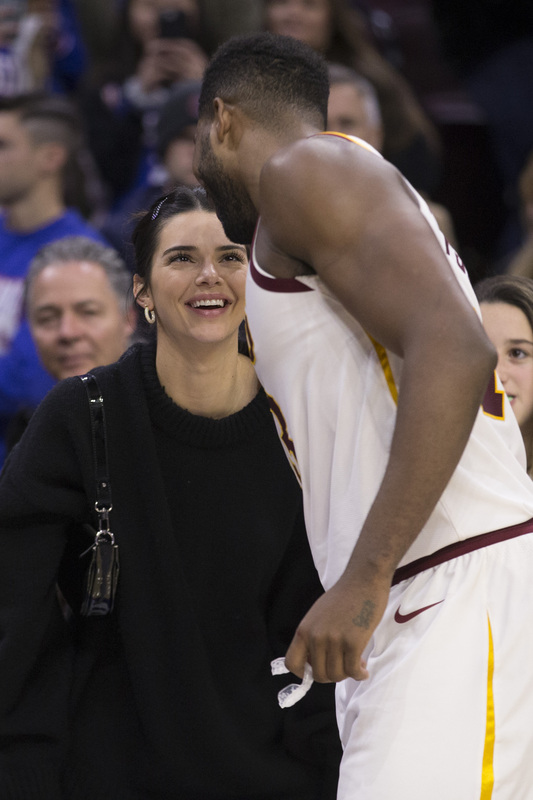 The model was at The Cleveland Cavaliers game against the Philadelphia 76ers on Friday. And while watching the game from the side lines, it looks like Kenny was boo-ing her sister’s boyfriend! But it was all in good fun, Khloe shared a video of the boo-ing on Twitter and had a hilarious reaction. The game comes after Khloe had a fun Thanksgiving in Cleveland with baby True and her love Tristan. The rest of the Kardashians celebrated the holiday together, which caused some people on social media to speculate that there might be some family strife. But Koko quickly shut down the rumors. “My sisters and I are perfectly find thank you! All of their families were able to travel but TT being in season, he can not,” she explained. “Happy Thanksgiving I guess lol,” she concluded.